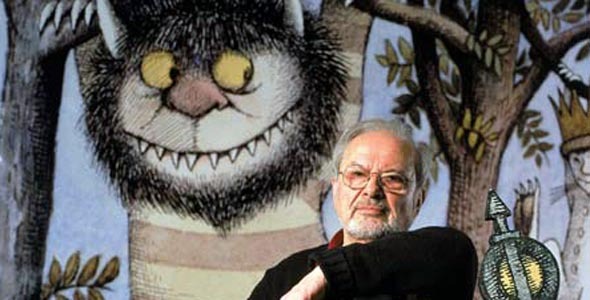 Leave it to college to keep me out of the loop, but today, beloved children’s author Maurice Sendak died after complications from a stroke. He was 83. Sendak will always be one of the storytellers with a prime influence on my life. “Where the Wild Things Are,” despite being turned into a mediocre movie, is still one of my favorite books. I believe it connected to every child, or at least this one, who wishes their bedroom was a jungle filled with monsters. “Let the wild rumpus start!” is still one of the great rallying calls for both children and adults alike. This entry was posted in Maurice Sendak, Obituary, Stephen Colbert, The Colbert Report, Where the Wild Thing Are on May 9, 2012 by ian0592.